You'll be fishing within 20 minutes! 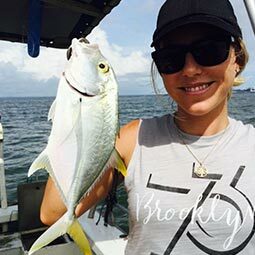 Due to the short travel times you’ll be fishing in no time and have access to the many varied varieties of fish Darwin Harbour has to offer. 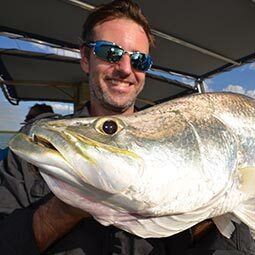 You get to truly maximise your time and catch fish such as Barramundi, Queenfish, Goldies and much, much more. 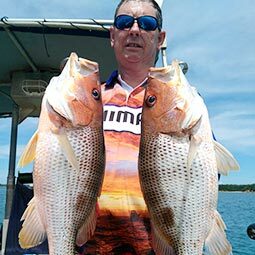 Our fishing guides have over 15 years of experience and know Darwin Harbour like the back of their hand. We pride ourselves on our friendliness and love the great times we have with all our customers. We know how to find fish and importantly we know how to give you the time of your life. 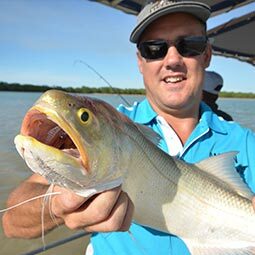 The tides in Darwin are big, frequently between 6-7 metres which has a big effect on fishing. 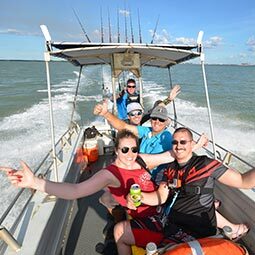 Our boats are custom made to handle the Darwin Harbour tides and we can go where most other operators can’t. 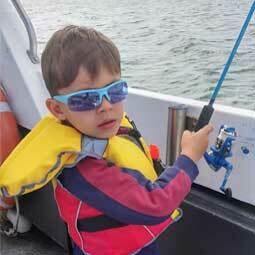 You may even see a croc on our fishing charters! Lunch Supplied on Full Day charters. 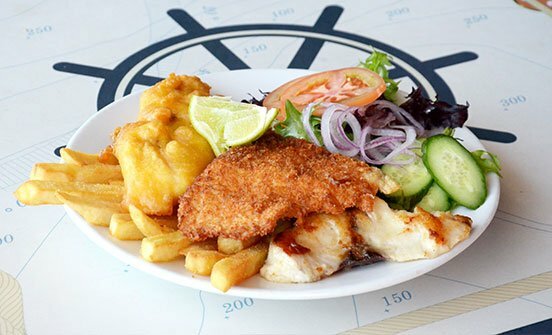 Lunch can be supplied on our half day charters at additional cost. Please let us know in advance.